Annually the Westside Coalition hosts a Bowl-A-Thon as its main fundraiser. Last year we transitioned it into a Lawn Bowlathon held at the Santa Monica Lawn Bowls Club. This event brings together community members, businesses and non-profit agencies collectively fund-raising for the Westside Coalition. Come join us for an afternoon of lawn bowling and raise money for a great cause! 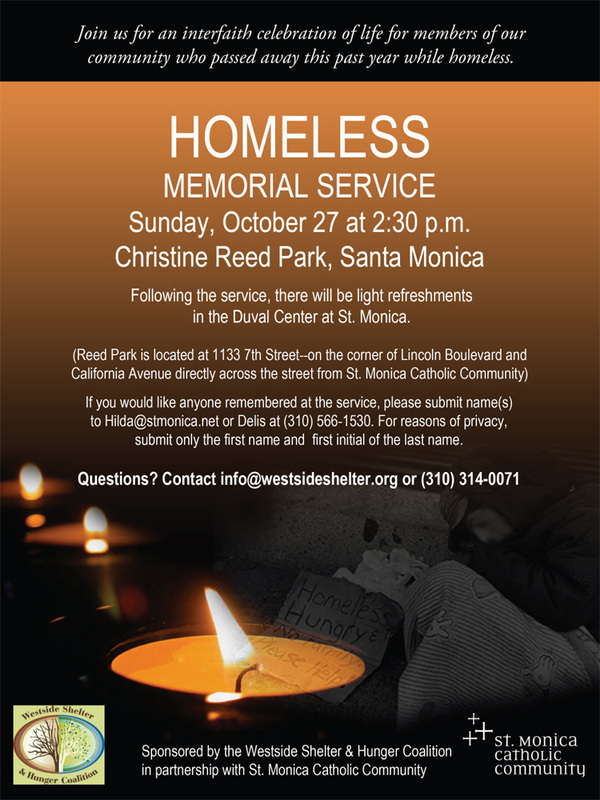 This year's Homeless Memorial Service was held on Sunday, October 29th at 3:00 p.m. at Christine Reed Park in Santa Monica. St. Monica's Catholic Community and the Coalition's Faith Committee work to make this event distinctive for the social service providers, the homeless community and the businesses, faith community and individuals of our community at large. 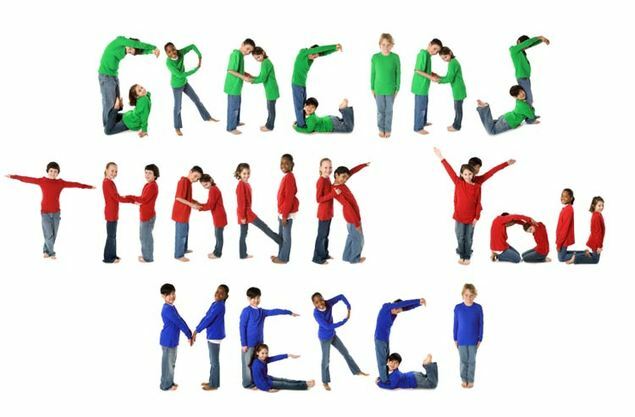 If you would like anyone remembered at next year's service, please submit names to delis@stmonica.net or call Delis at (310) 556-1530. For reasons of privacy, submit only the first name and first initial of the last name. Each winter as the weather turns cold and it begins to rain, temporary Winter Shelters are set up for the homeless residents on the Westside of Los Angeles. 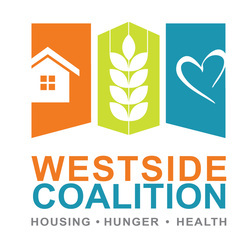 Before the Winter Shelters close, the Westside Coalition organizes several Project Homeless Connect in collaboration with the shelter operators. These events brings representatives from the local non-profits and city and county social service agencies to the shelter to speak with the homeless residents about seeking services. The Faith Community, comprised of several different religious organizations that have become members of the coalition, gather donations to distribute throughout the evening. Every Fall the Westside Coalition hosts the Celebrating Success Breakfast. Each year the coalition comes together to honor individuals who have moved their lives from homelessness to housed with the support of member agencies. This event also recognizes businesses and organizations that have made significant contributions to Coalition member agencies and the clients they serve.